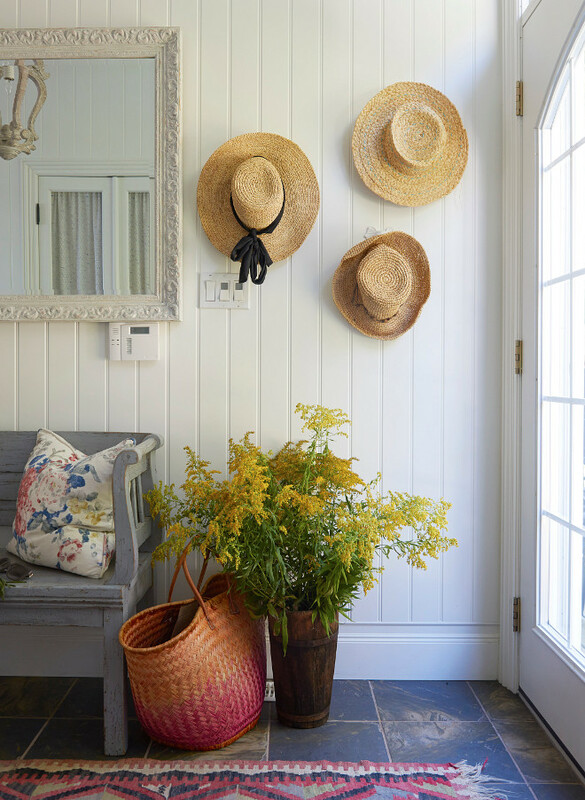 Located in Crowe Lake, Ontario, Canada, and designed by Emily Griffin Design, this lake cottage features some inspiring country coastal interiors. Beautiful decor seems to invite the outdoors in, giving a sense of happiness throughout the year. 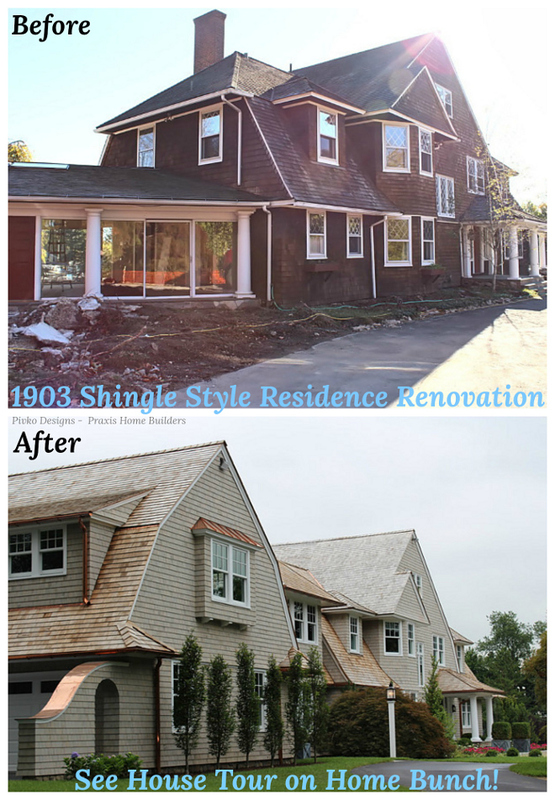 Here, the designer shares all sources and more details about this beautiful lakeside cottage. 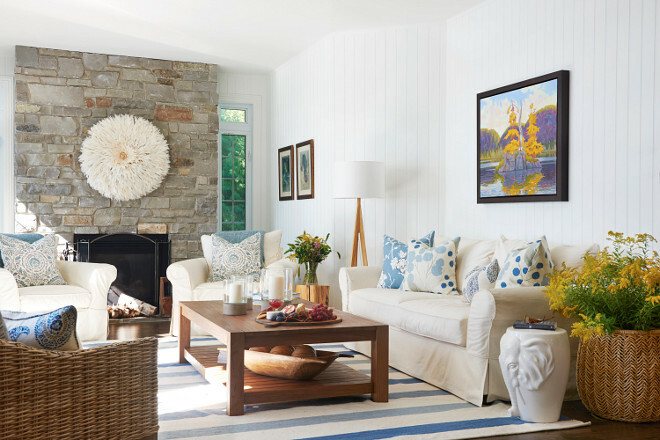 This country coastal living room sets the vibe for this lake cottage with colorful decor, vertical shiplap and that gorgeous stone fireplace. 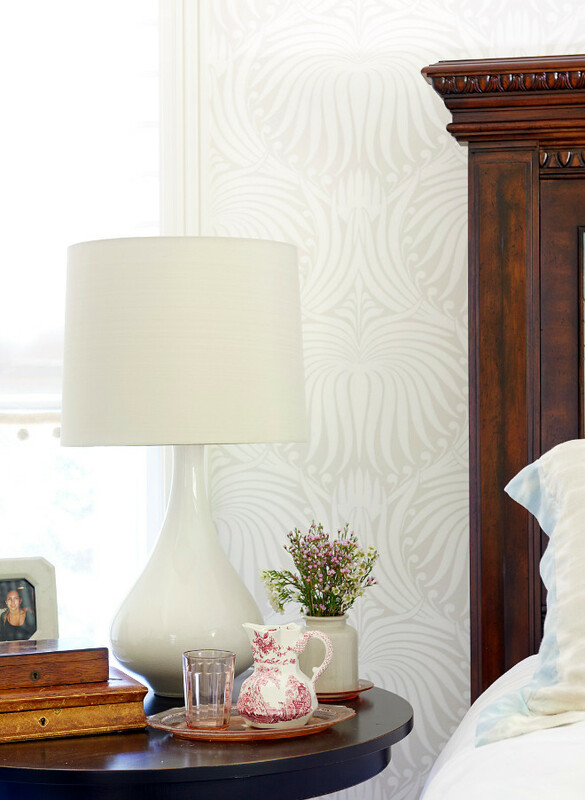 Paint Color: Benjamin Moore Oxford White. Chairs: Pottery Barn. Couch: Pottery Barn. Wicker Chair: Artemano with recovered cushions in Kravet fabric. Beautiful Indoor/Outdoor Wicker Chairs: here, here, here, here, here & here. Large Basket to be Used as Planters: here, here & here. The kitchen is L-shaped so the range is on the left side of the room. Microwave is in the cabinet below the open shelving. 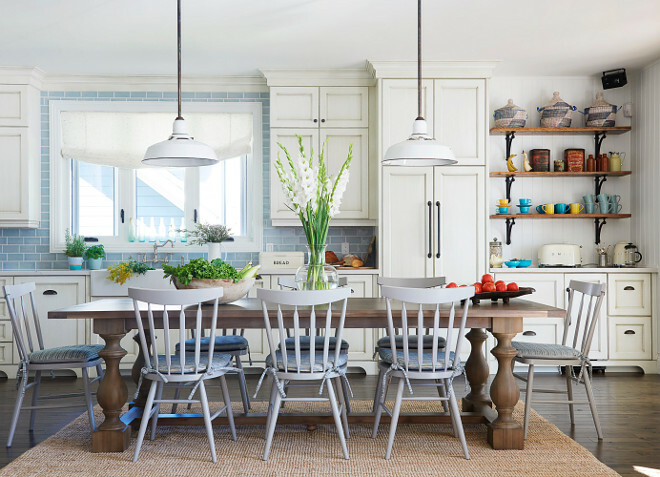 Dining table is from Restoration Hardware – Beautiful Dining Tables: here, here, here, here, here, here, here & here. Dining Chairs: Crate & Barrel. The designer custom seat cushions to them. Pendant Lights: Local store. Similar here, here & here. Wood Shelves: Made from old cabin on the property. Similar Here. Cabinets were done with an antique glaze. Sink: Franke – similar here. Metal Bread Box: Here, Here, Here, Here, Here, Here & Here. 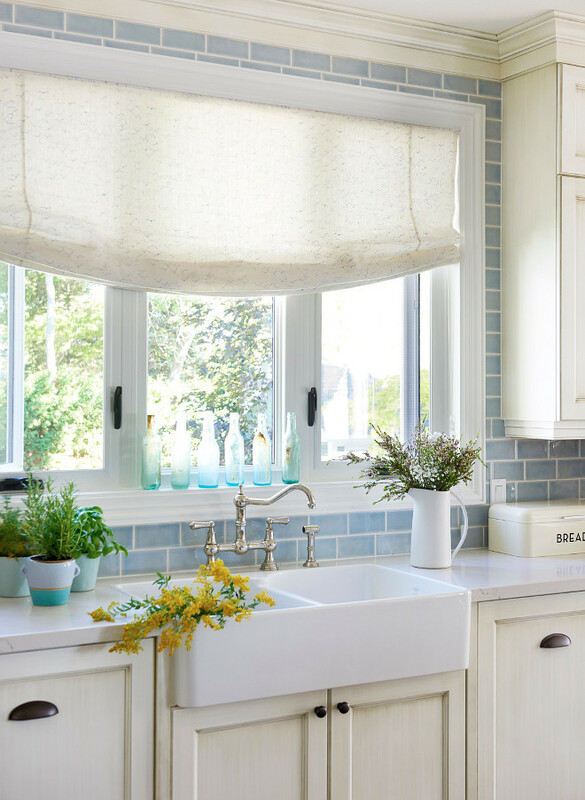 Backsplash Tiles: Creekside Tiles – Beautiful Blue Tiles: here, here, here, here & here (different sizes). Hardware on Cabinets: Upper Canada Hardware – similar: Pulls & Knobs. Can you picture yourself here with a cup of coffee, feeling the breeze and hearing the birds outside? Sectional: Shelter Furniture- Beautiful Sectionals: here, here, here & here. Chair: Greenlight District. Similar here & here. 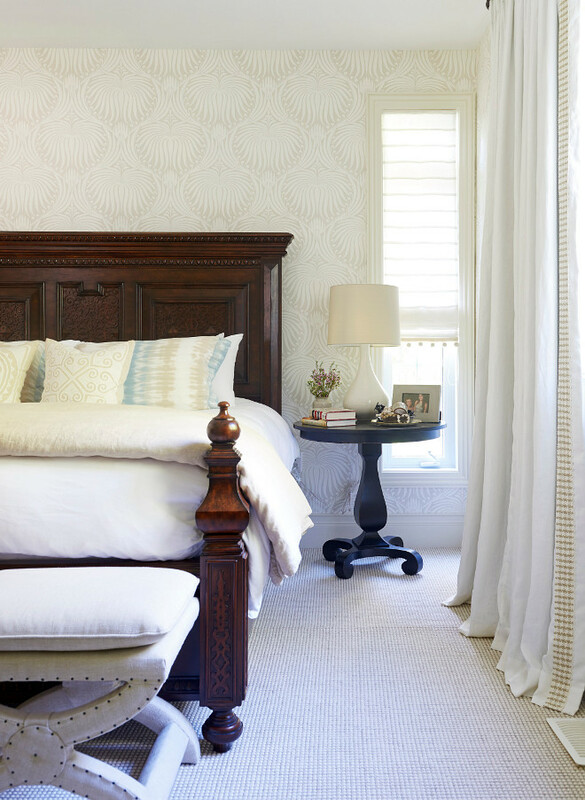 The master bedroom feels calm and timeless with its neutral decor. Bed: Client’s own – similar here. 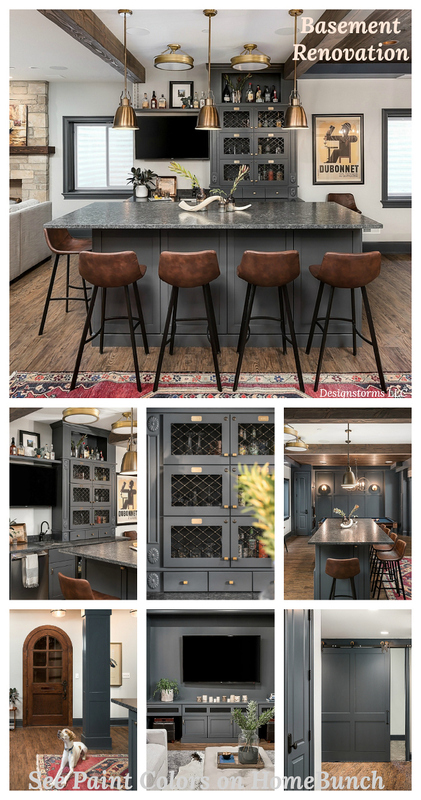 Stool: Restoration Hardware – similar here. Bedside Table Lamps: Crate & Barrel. Side Tables: Crate & Barrel. 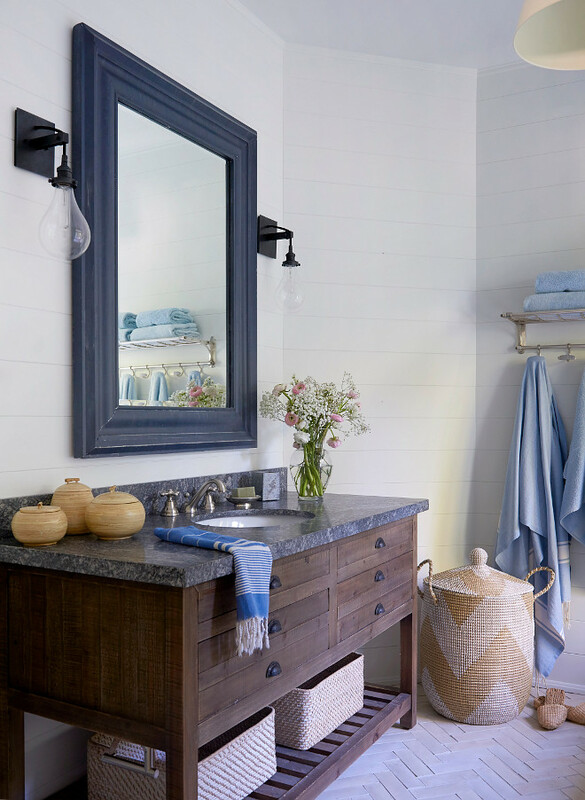 The master bathroom features a vanity made of reclaimed wood with granite countertop, shiplap wall paneling and herringbone floor tile. Floor tile are cement tiles are from Creekside Tile in Toronto. The vanity is Restoration Hardware but the countertop is from Olympia Slab in Toronto and it is called Riverrock Granite. 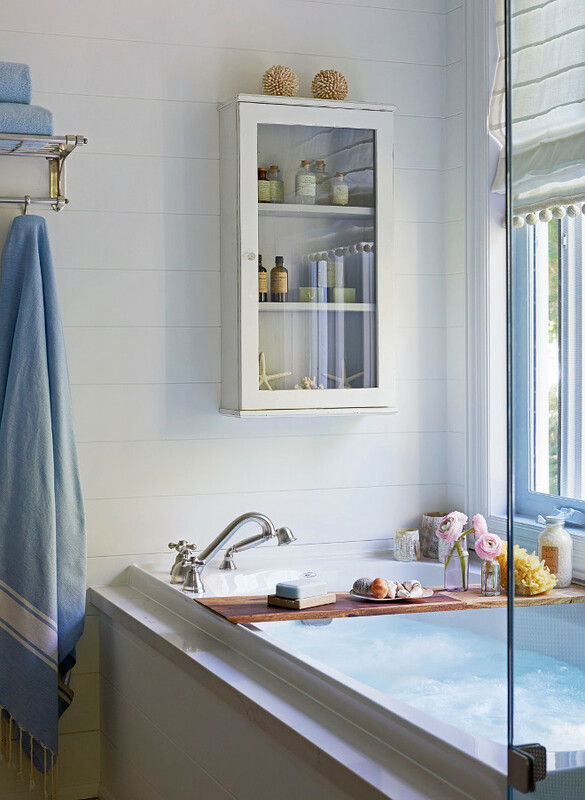 Beautiful Bathroom Vanities: here, here, here, here & here. Sconces: RH – similar here, here & here. Tub: Re-used from old bathroom. Tub Tray is a cheese tray from Crate & Barrel. What a great idea! 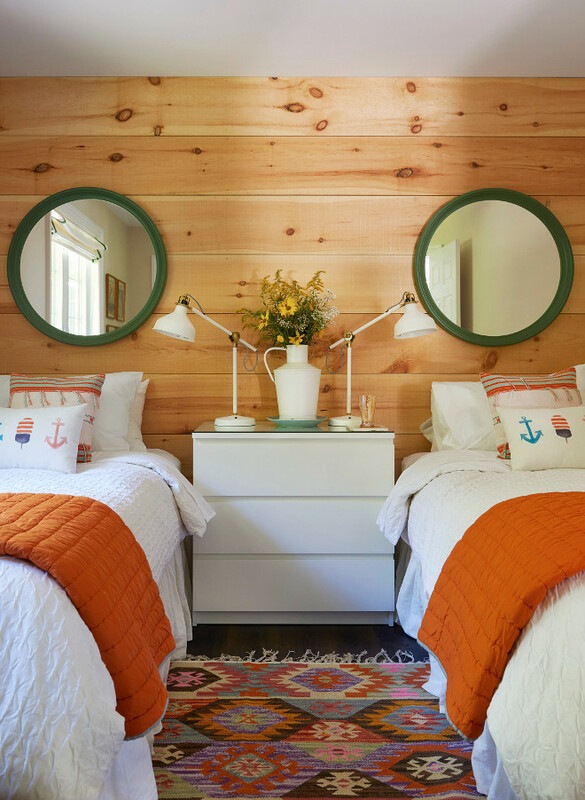 This adorable cottage bedroom features Knotty Pine shiplap. Mirrors and Dresser are from Ikea. 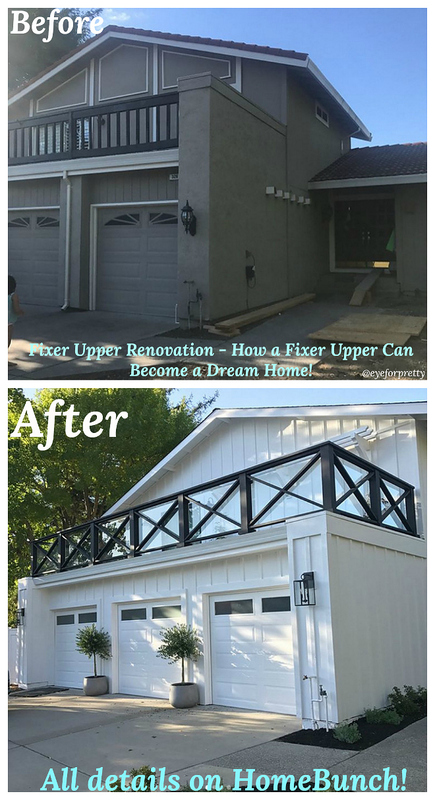 Mirror was client’s own. Designer got it antiqued. Bench: similar here, here & here.